Today I have a really easy, quick and tasty dessert for you. 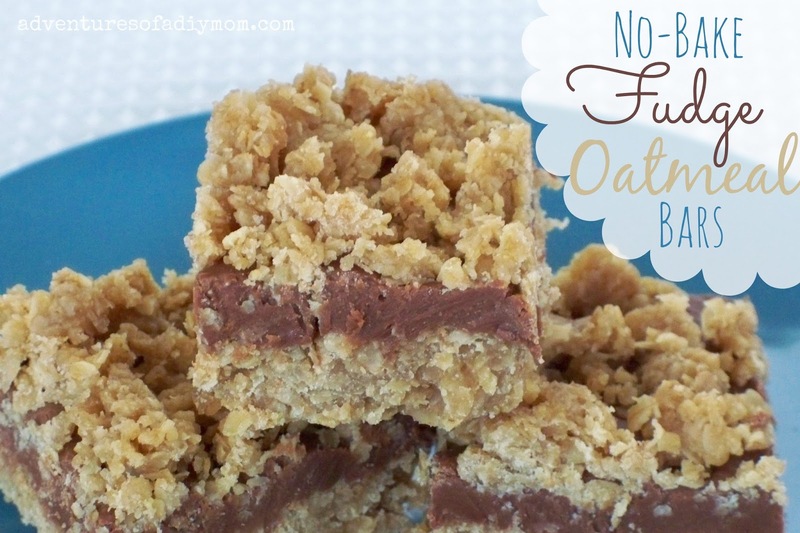 No-Bake Fudge Oatmeal Bars. They are very simple to make and require no bake time. These bars are very rich. 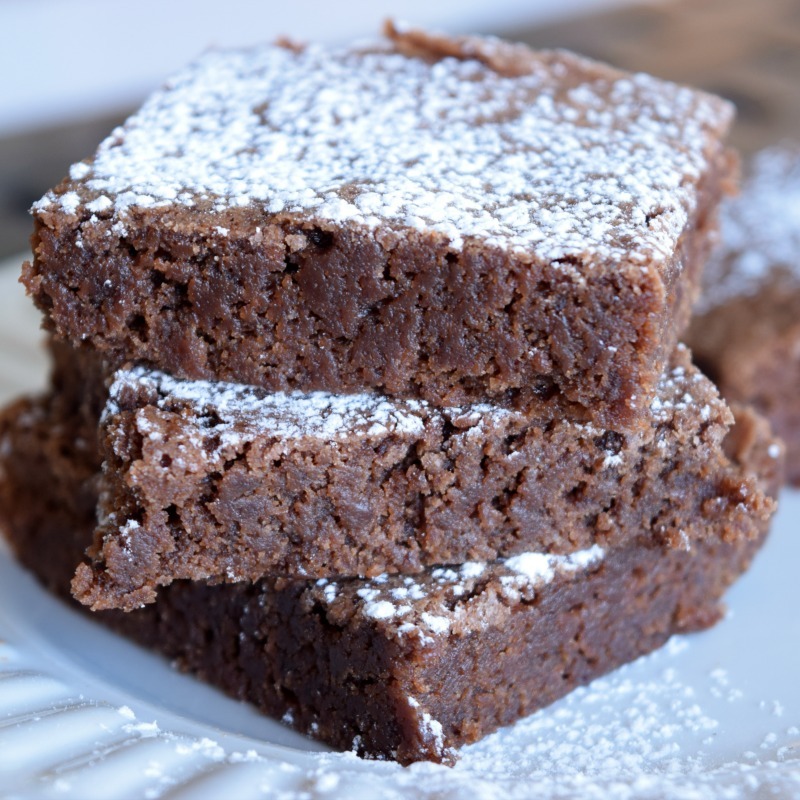 The fudge layer was perfectly smooth and was nicely complimented by the crispy oat crust. My son ate one bite and said "Can you make these again?" Adapted from: Kleinwoth & Co. Melt margarine in a saucepan. Add brown sugar and vanilla. Once the sugar has melted in, add the oats and cook and stir for 3-4 minutes. In a separate bowl, melt chocolate chips and Dulce de Leche in the microwave for 1-2 minutes. Mix well. Press 3/4 of the oatmeal mixture into the bottom of a well greased 9x9 pan. 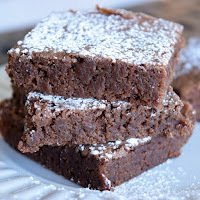 Pour fudge over oatmeal crust. Sprinkle remaining oatmeal mixture on top. Place in the fridge for a few hours to set up. Bring to room temperature to cut and serve. Hope you enjoy these as much as we did. Oh Rachel - this looks just too good! I can't wait to try making it! Thank you for the recipe! 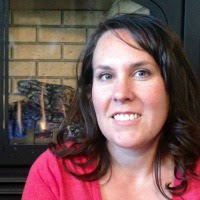 Hi Rachel, I am also a Rachael. With an A, this looks great. 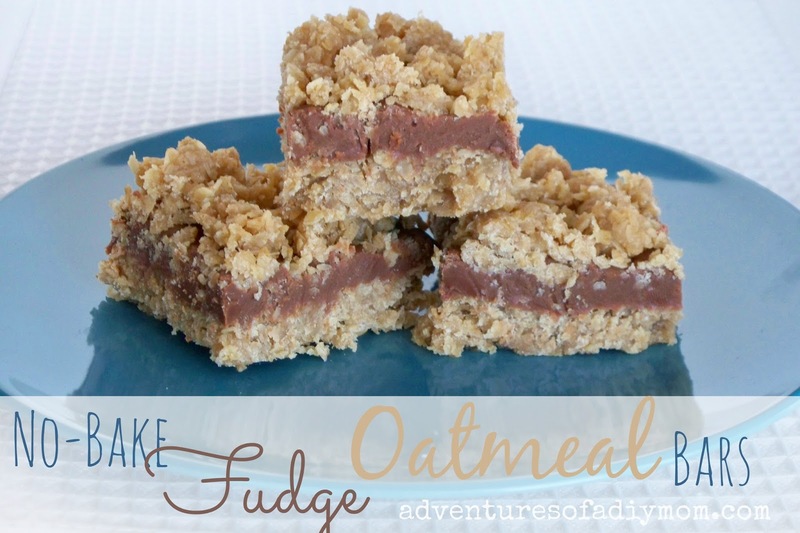 I love oats, I love fudge, and I love no bake. Perfect. Found you on a link party. Glad I did. These look so good - and they sound super quick and easy to make - another bonus. My 3 sons will probably love them - will be trying them out soon. Pinned.